Murray was selected for the games after competing in the 1500 meter run at the U.S. Paralympic Track and Field Trials recently held in Indianapolis, IN. 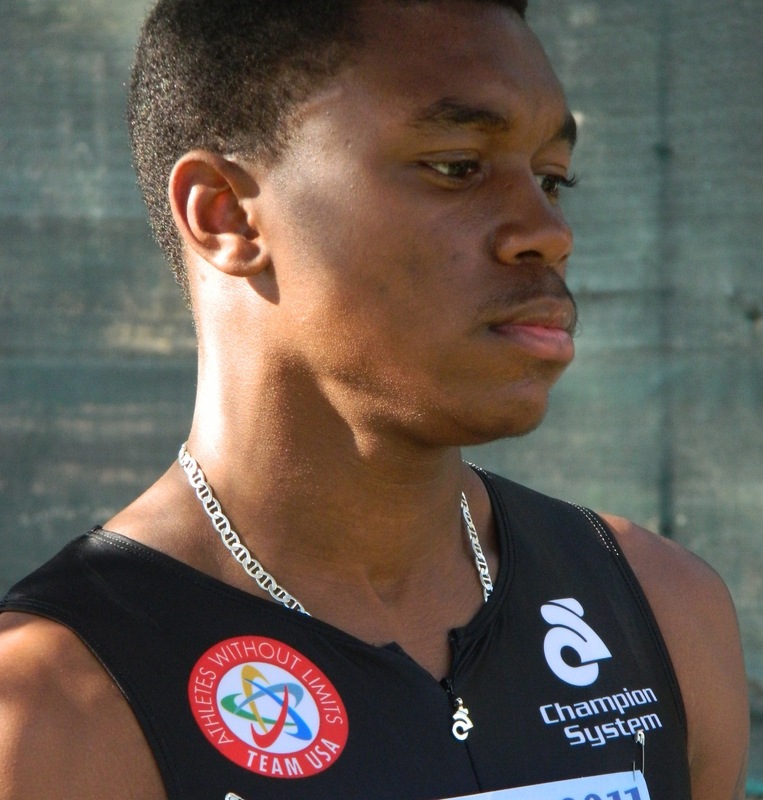 While currently ranked first in the world in the T20 class (intellectual disability) in the 800m with a time of 1:56.1, that event is not offered to T20 athletes at the 2012 Games, so Michael has set his sights and training on the 1500m contest. With his current fifth place world ranking in the 1500, a podium finish in London is well within reach. Murray, who has been running since age 9, has been racing with the Nashville Illusions Track Club coached by Andrew Reynolds since 2000, and is competitive against non-disabled athletes in regional and national USA Track & Field meets. He began running in Paralympic competition in 2010 and has been breaking ground for athletes with intellectual disability ever since. 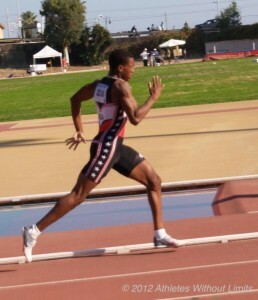 Michael Murray, pictured warming up at the 2011 INAS Global Games in Italy, hopes to make more U.S. history by medaling in the men’s T20 1500m at the London Paralympics. Michael’s extraordinary talent and work ethic have taken him around the world over the past two years. As a member of numerous national teams, he has travelled to Australia, New Zealand, Italy and Mexico to compete against the top runners in the world. He looks forward to adding Great Britain to that list. Read more about Michael and other athletes with intellectual disability who are successfully integrating and accelerating into mainstream sport at www.athleteswithoutlimits.org. Athletes Without Limits, the US member of INAS, is a nonprofit whose mission is to identify, develop and support athletes with intellectual disability and dreams of participating in high-level competition in the US and abroad. INAS, the International Federation for sport for athletes with an intellectual disability within the Paralympic movement, manages the eligibility process for intellectual disability sport, hosts an extensive program of world and regional championship competitions, and promotes inclusion in sport around the world through it’s member countries. The International Paralympic Committee (IPC) is an international nonprofit organization comprised of four disability sports federations and 167 National Paralympic Committees—including U.S. Paralympics—committed to enabling Paralympic athletes to achieve sporting excellence and to developing sport opportunities for all persons with a disability from the beginner to elite level. In addition, the IPC aims to promote the Paralympic values, which include courage, determination, inspiration and equality.